We live in an amazing time. And it's not just because of the internet, flowing water, and plentiful food (If you're reading this. I recognize this isn't true for everyone in the world... yet). It's amazing because we're living through an age transformation. There's been a lot of them during human history. I bet the transition from the Stone Age to the Bronze Age was tectonic! We know the Roman Period was amazing (of which I'm certain I'm an ancestor). Columbus helped set up the Industrial Age with the cotton gin being the first big example of machines taking over work. Here's what it's looked like on the left (based on this). And here we are. In the midst of the beginning of the Information Age, predicted to last about 500 years, and we're only 50 years in. It's hard to imagine the full impact in 450 years or what'll be next (a Space Age seems possible), but we're living through the transition right now. It's exciting because of new technologies that enable new ways of living (do you work remotely now? ), and how we see the world is rapidly changing. Today, the thinking on project management has changed to favor an agile method implemented using Scrum. The general difference is how much you do at once. Instead of thinking through everything, plan 2-3 weeks of work which finish with testing and deploying what's done. The big benefit is that it allows the requirements to be flexible further down as you learn more. The Information age has made the cost of incremental changes low enough that everyone can afford to do it. This is also part of the idea behind the Minimal Viable Product (MVP). Instead of working a long time to make something perfect, create the absolute minimum features, get feedback and then focus on improving based on the feedback. The big benefit is you don't waste a lot of time working on something nobody likes. Finally, the concept of Scrum is a derivative of the Information Age. Instead of deploying hundreds of people to tackle a project, break into groups of 5-7 people with different skills. That small group focuses on building/testing/deploying a product over 2-3 weeks. They generally meet for 15 minutes each day to check-in and help each other out. What do you get when you combine Agile + Scrum + MVP in the Information Age? "Sprint: How to Solve Big Problems and Test New Ideas in Just Five Days" by Jake Knapp, John Zeratsky and Branden Kowitz. In the book, a design sprint is a 5-day method to help you focus on a question and then learn from the surface of a finished product. The basic idea is that you don't need to build a full-featured product (not even an MVP) before finding out if your idea will work. Instead, treat your idea like a movie: just create the "look" of a product and get that in front of people. If they like the "surface" - the GUI, the part they see - then you can feel confident in spending the time to make the real thing. The book is a how-to manual which details what to do on each day and explains why you're doing it. If you're looking for prescribed actions to take, you'll love this book. It's amazing how poor we are at guessing what other people will like. Have you ever spent a lot of time on something to only find it doesn't quite hit the mark? I have and it's no fun. The best way to overcome this problem is by getting feedback sooner and more often. A sprint helps you do that. If you're involved in any sort of project that's building something new for someone other than yourself and has open questions, a sprint could help. 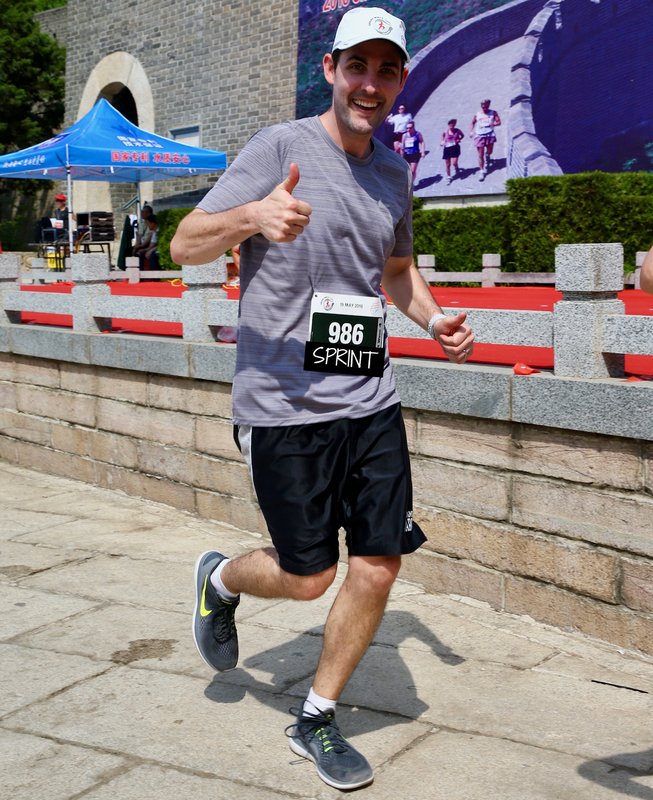 If you're repeating a previous project/process (like running another forecast, building another house, or training for a marathon) then you don't need a sprint. What do you do during those five days? Here's a short video the authors put together which describes the five days pretty well. They also have a website with more information and resources. If you're on the fence on reading the book, I recommend checking out the website first (and won't repeat it here). Finally, it's a fast read. It took me two weeks and I only average 10-20 minutes of reading a day. Also, given that their website has all the checklists easily available, you could easily listen to it as an audiobook and then reference the checklists later. If you're engaged in any project where you're building something new, it's worth reading. 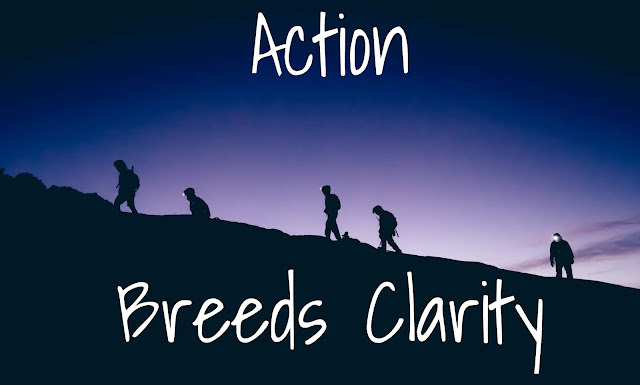 I don't remember where I heard this, but I love the saying "Action breeds clarity." For me, it's the antidote to analysis paralysis. How often have you wanted to do something, but found yourself spending too much time thinking/dreaming/wishing about it? Only to see that a week, a month, a year (!) later you're in the same spot? Usually, it's because of uncertainty. Sometimes inaction is driven by fear of failure, but often that's more a symptom of uncertainty. For me, I like to have every step known and planned out. Before then, I don't want to do anything. Saying to myself "Action breeds clarity" helps me move forward because it gives me permission to NOT have everything figured out ahead of time. Instead, I focus on doing something small to learn more, which often brings clarity to the bigger picture. I wanted to create a software product for landlords. But I didn't know what to build, or how to make it. So I took a small action step. I called up a couple landlord friends and asked them general questions. "What's something that bothers you? Or that you do over and over and over?" I had a guess but didn't know. After talking to four people (that's it! ), I was surprised that each of them had the EXACT SAME problem. A little bit of clarity. So I took more action and developed a set of questions to dive deeper on that problem with more people. Eventually, my co-founder and I felt like we had a good sense of the problem. So we took another small action step: I built a small web app in a week to test a potential solution. It was super simple and incomplete but showed the idea and was enough to get clarity on how the final product could work. From there we took another step based on the new set of questions. I could have spent a year thinking about a product idea and never made progress because of uncertainty. By the way, more original guess was totally wrong. By taking the small act of talking to four people, I gained enough clarity to completely change the direction I headed in. Do you have something you're uncertain about it? Try taking action today. Try it in a safe environment.